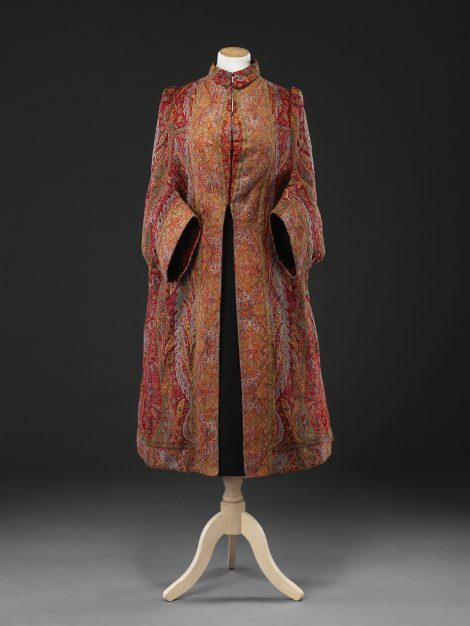 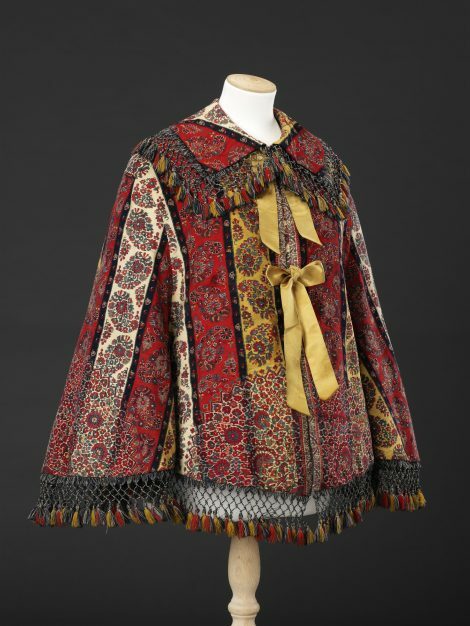 The reuse of large, woven-patterned shawls known as ‘Paisley’, after one of the centres of their production, is discussed in the entry for the dolman (see Related Items). 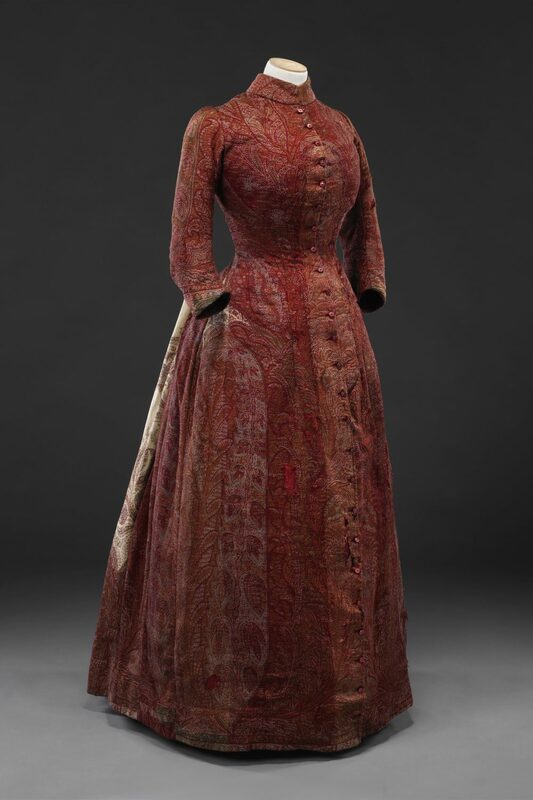 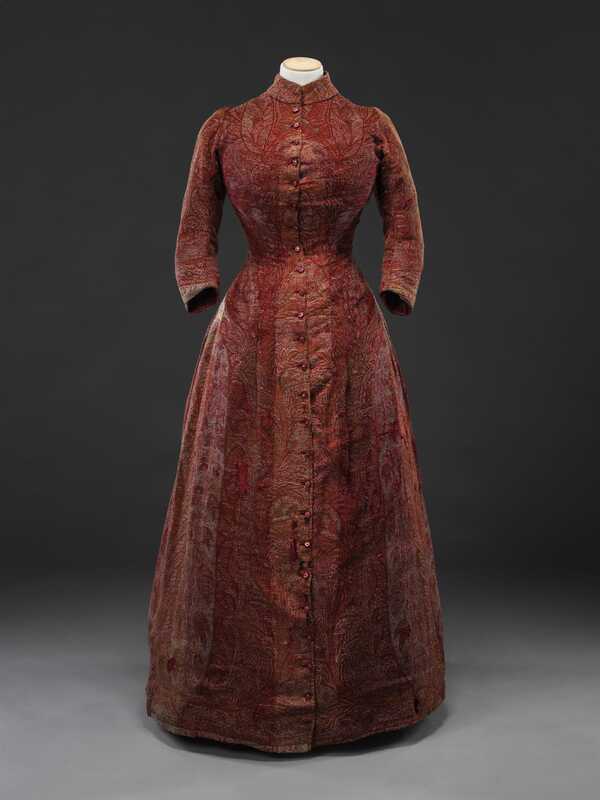 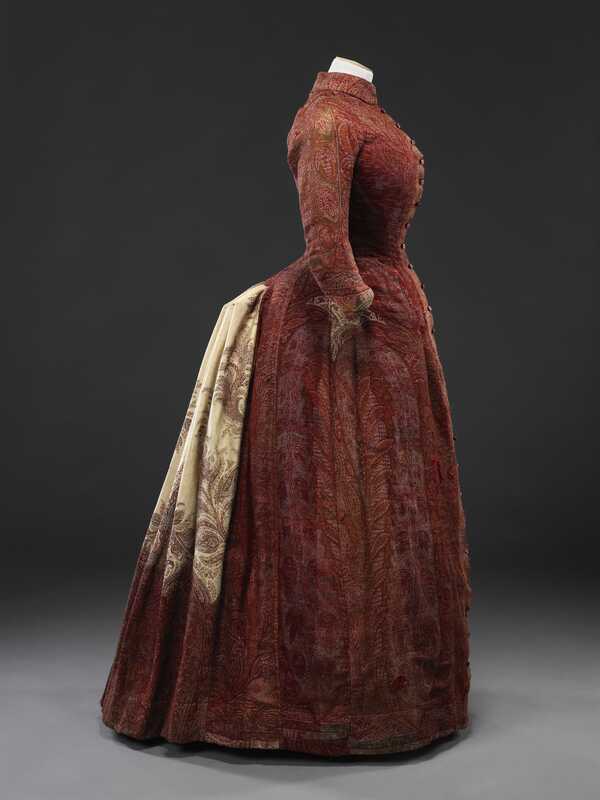 This gown, which is contemporary with the dolman, has been made from a very large shawl as it has no waist seam, and, as with the dolman, it has been carefully constructed to place the pattern motifs symmetrically. The most striking feature of the gown is the centre back skirt panels, one predominantly creamy-white, the other a light, bright green, which have been ingeniously cut from contrasting central areas of the shawl (see Additional Images). 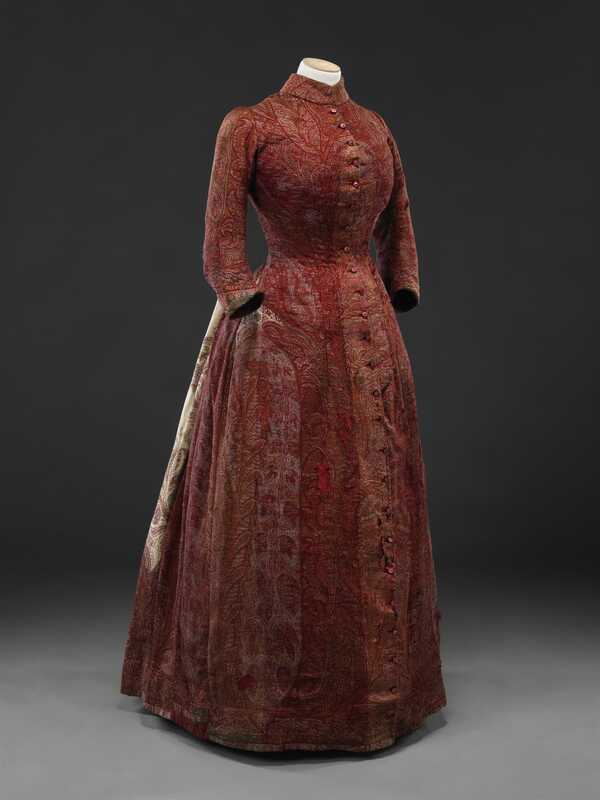 A small amount of the corresponding shade can be seen in the body of the gown beneath and behind each sleeve. 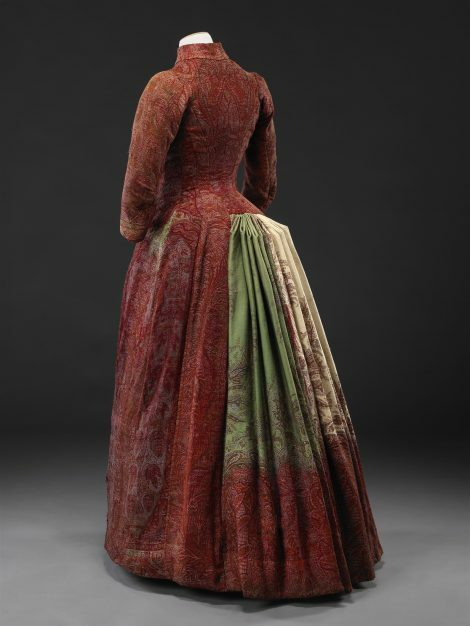 The dramatic quality of these panels is enhanced by the deep pleats, forming diagonally topped wings, by which they are attached below the centre back waist to accommodate the bustle. 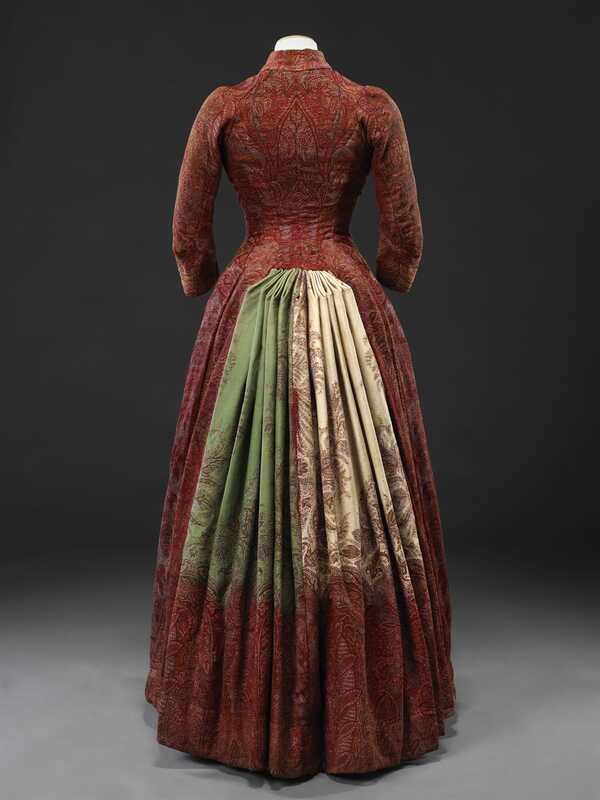 It can be seen from the interior of the garment that the upper section of the pleats is reinforced with a panel of stiffened white cotton.